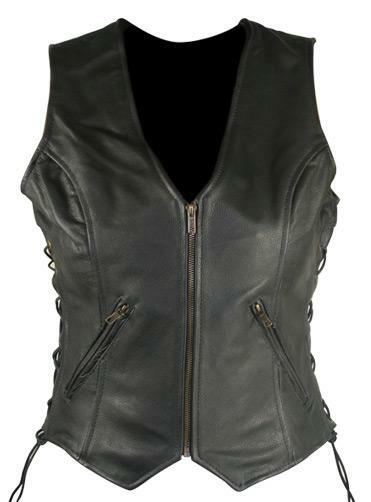 This Charlie LONDON women's biker vest is made of premium leather and features YKK zippers, 3 zipper.. 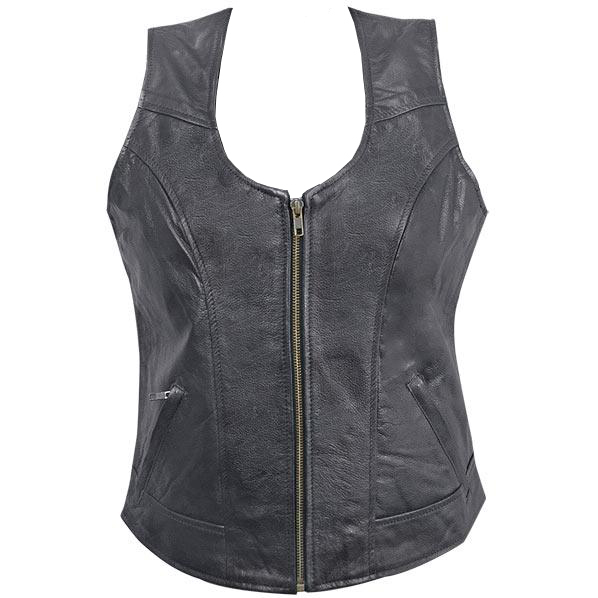 This Charlie LONDON Women's vest has a fit that accentuates your body curves. 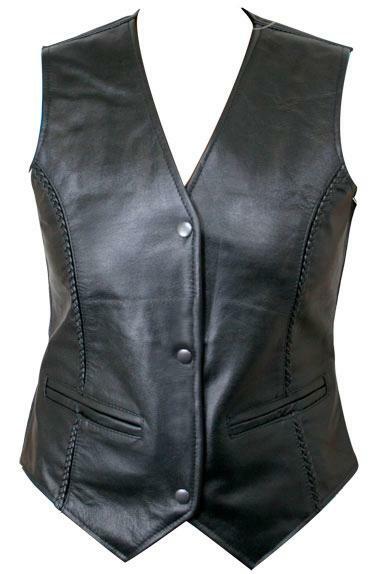 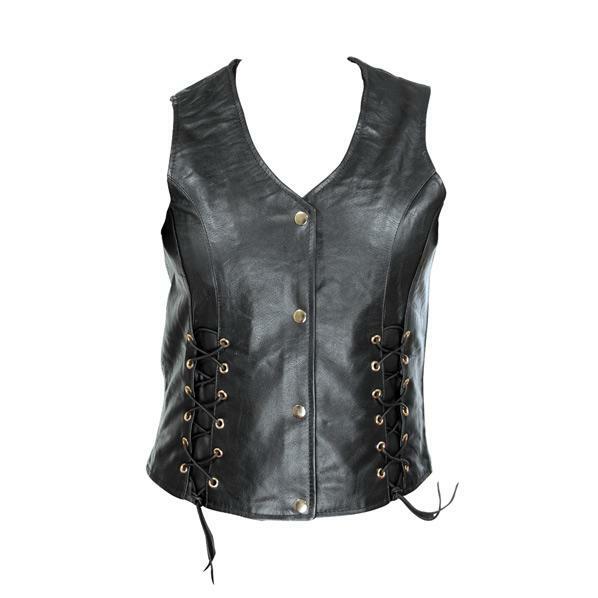 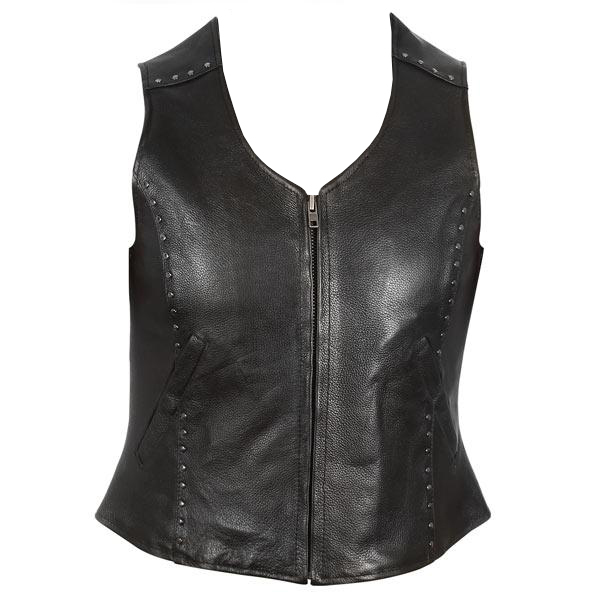 Constructed from Premi..
Classic Ladies Cowhide leather side lace vest features; front zipper closure,two side zippered hand ..